We sell high-quality pullets that are raised by professionals in the field. You can pick up your ready-to-lay pullets from us at 12 weeks of age, 14 weeks, or 16 weeks of age. Our price for point-of-lay hens changes from time to time. Kindly request a quote above to know the current price and make your booking/reservation. We offer an extra 1 hen per 100 hens ordered. Point-of-Lay is the phrase we use to describe pullets that are approaching the age when they will start laying eggs. How soon they start laying depends on their parent stock as well as the condition of brooding and rearing. Expected laying ranges between 18 to 22 weeks of age. Thus an early purchase enables the hens adapt to farm conditions and management practices. The 12 weeks old Point of Lay hens has completed all the required vaccinations for their age (you will need to get a veterinarian to complete the remaining vaccinations). They are raised under very conducive conditions and properly managed to ensure they deliver well on your farm. 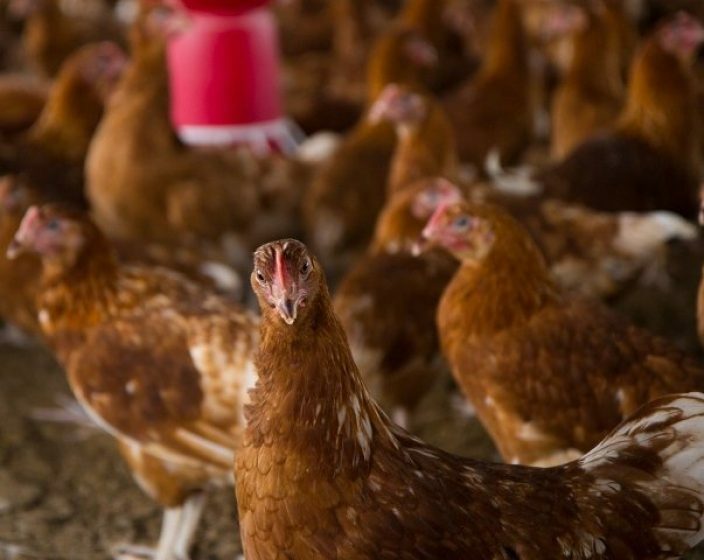 Most professionals advise new farmers to start chicken egg production with point-of-lay hens. That’s why we have really worked hard to ensure you have peace of mind as a new or old poultry farmer. At point-of-lay (16 weeks of age), the hens have scaled through the most difficult parts of raising chickens, after being raised by experienced professionals. Depending on how well you manage the chickens on your farm, we expect our point-of-lay hens to cross 50% egg production within 2 to 3 months and reach over 80% egg production or more within 4 to 5 months of collection from us. Kindly ‘Request a Quote’ above to get the current price from us and make your booking. My birds are not doing bad.Shopping experience with Afrimash is really good, I have gotten quite a lot from you.